Everyday life is filled with small, yet special moments that deserve to be celebrated—it’s not always about big occasions like birthdays, anniversaries or even Hollywood’s annual awards. It’s important to reserve posts and toasts for parents’ first night out, acing your presentation at work, or finally checking something off your bucket list. Share an everyday moment from February 4th to February 15th by posting a photo on Instagram—wearing a Stitch Fix outfit—and tell us why it was extraordinary for you. 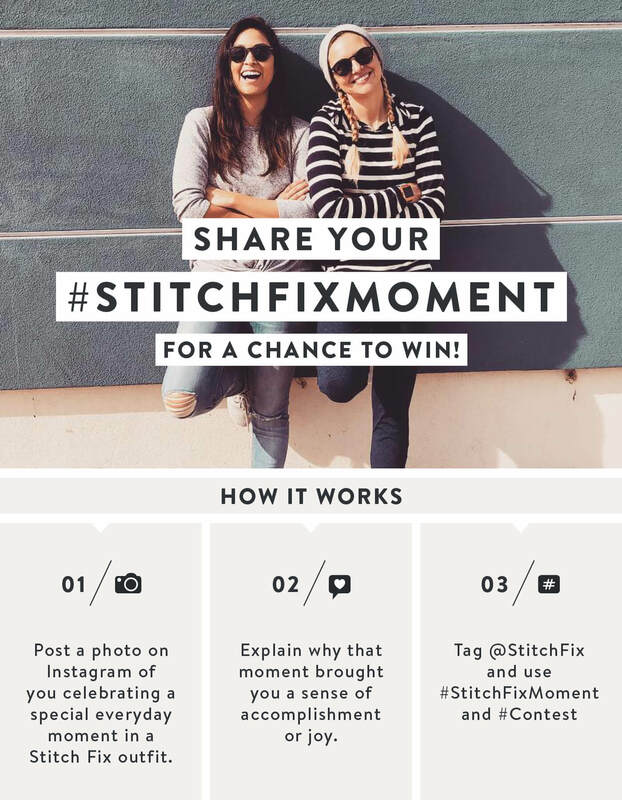 Be sure to tag @StitchFix and use #StitchFixMoment and #contest in your caption. We’ll award nine winners with a $50 Stitch Fix gift card and one grand prize winner with a $500 gift card. We’ll announce winners every day from February 16th – February 24th on our Instagram Stories. Let’s get to celebrating! No purchase necessary. Entry period ends 2/15. Open to residents of the 50 US and D.C., 18+. See official rules here.